The watchtower is not, typically, an offensive weapon. It’s an anticipatory instrument, a hedge against the inevitability of future conflict. 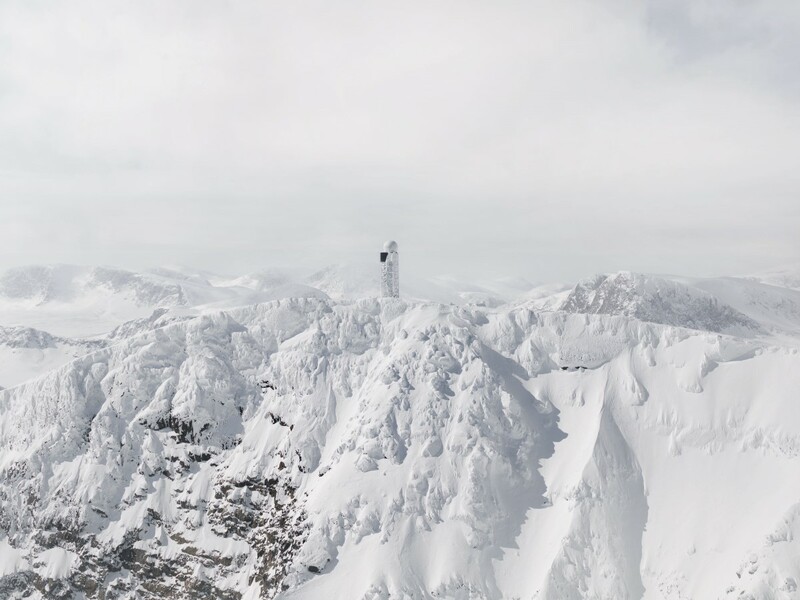 Built in the 1950s, the Distant Early Warning line, or DEW line, was a system of radar stations stretching across northern Canada from Alaska to Greenland. Its job was to detect Soviet missiles approaching North America from the polar regions. As a child growing up in Canada, the DEW line was a source of both comfort and dread. The acronym conjured up an image of vigilant water droplets, a shimmering circlet at the top of the world. But the name also held the terrifying prospect of an invisible threat, remote but poised to strike. 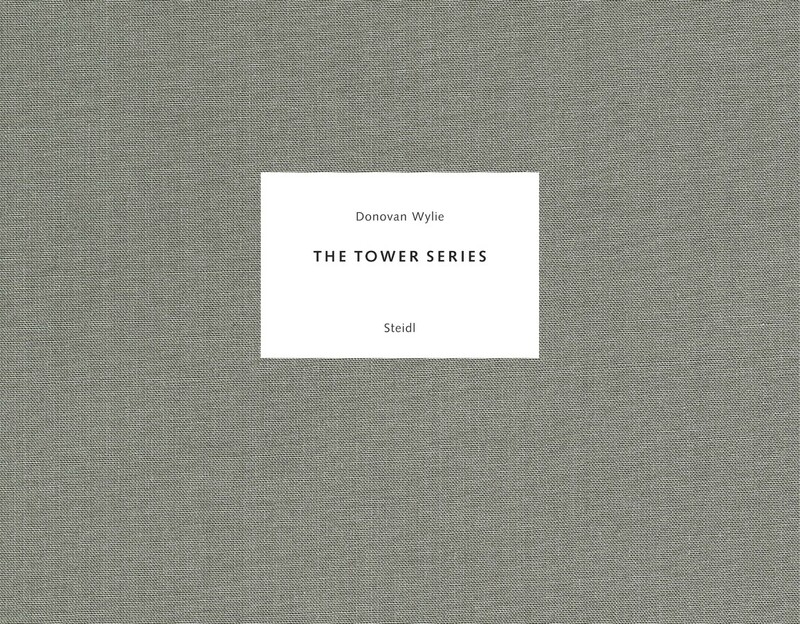 Donovan Wylie’s Tower Series examines the mostly invisible architectures that weave the promise of war into the fabric of daily life. It spans three places – Northern Ireland, Afghanistan, and the Canadian Arctic – and works across three distinct landscape idioms – the pastoral, the sublime, and the romantic. But to perceive these images simply as landscapes is to miss the point. Though Wylie is often cast as a documentary photographer working in the ‘New Topographical’ mode, document and topography are both secondary concerns here. The photographs in The Tower Series are about what can’t be seen, and about the paranoia, loneliness, and isolation that haunt our efforts to see it. The watchtower is not, typically, an offensive weapon. It’s an anticipatory instrument, a hedge against the inevitability of future conflict. Its function is to monitor troop movements, and to observe the activity of the enemy. Unornamented and bluntly functional, the watchtower is the purest kind of modernist architecture, refusing any kind of signification apart from the terse expression of power. But the stoic exterior of the modern watchtower conceals an array of high-tech surveillance equipment capable of seeing and hearing at extreme distances. Alert and unsettlingly anthropomorphic, watchtowers are ciphers to the immanence of conflict; emblems of war as a state of mind and a state of being. 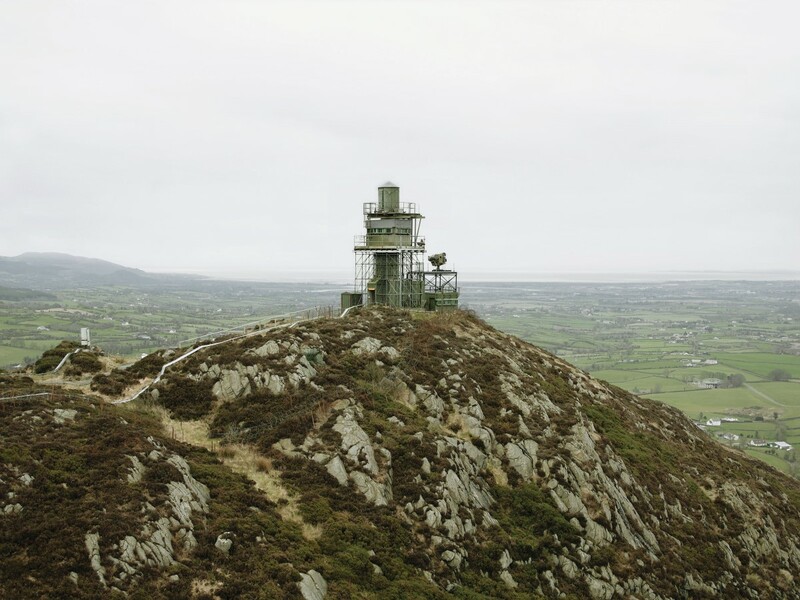 Shot prior to the demolition of the towers in 2007, Wylie’s images of South Armagh are alive with tension. The rural landscape lies green and still under implacable grey skies. Sheep graze on the hillsides, and the towns appear mostly empty of people. 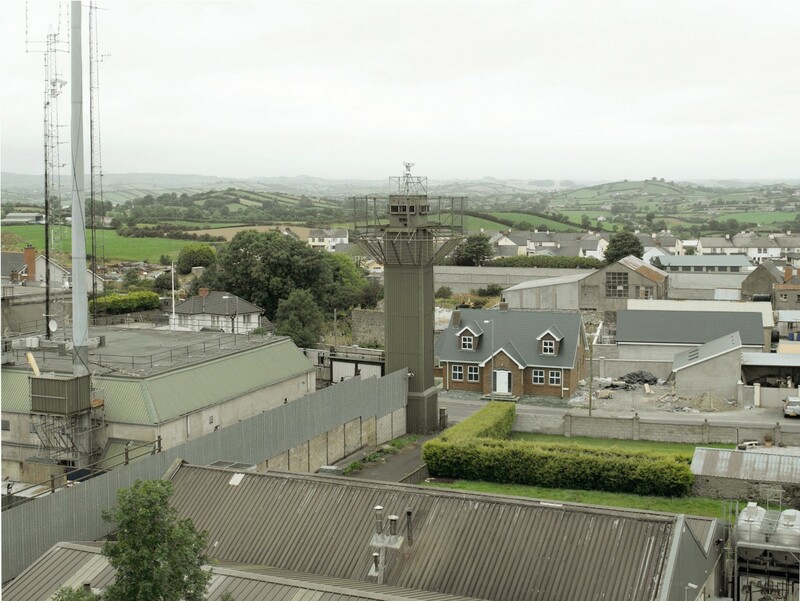 During the Troubles, the area was largely free of the sectarian violence that plagued other regions, but it was the site of repeated confrontations between the British Army and the IRA. In many of Wylie’s images, the towers – known as ‘sangars’ by the British Army – are barely visible. But for the residents of South Armagh, it was enough simply to know that they were there. 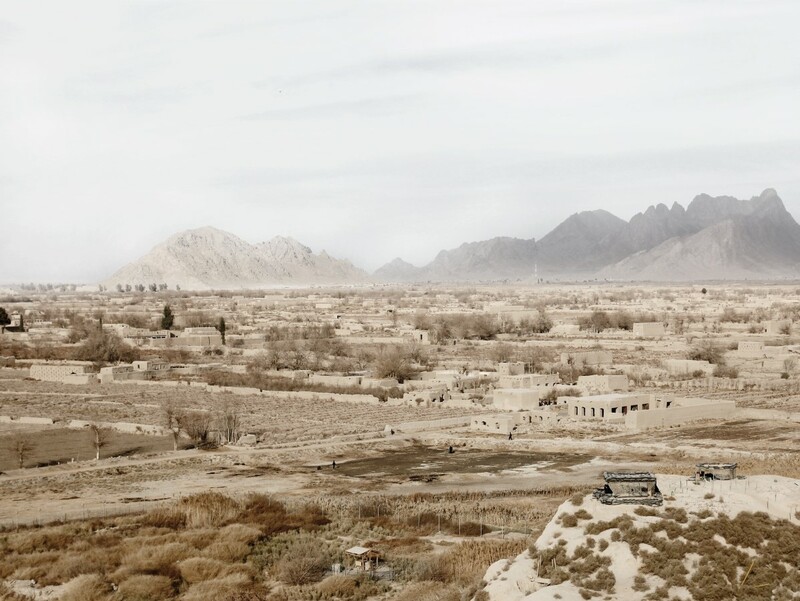 In Kandahar, Canadian army observation posts nestle in the serrated outlines of the hills, looking out over a vast sand-hued landscape bathed in golden light. In the distance, groups of people gather, military vehicles move along the road, an explosion sends up a column of smoke. 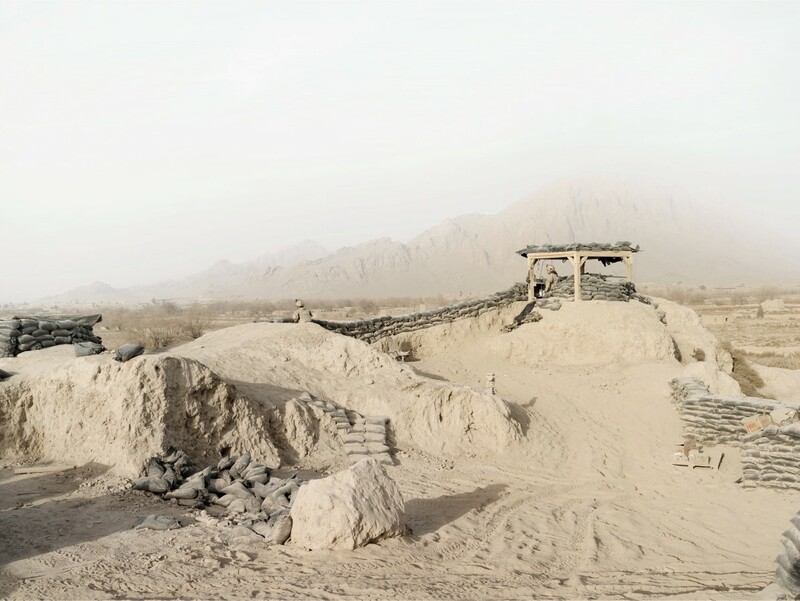 Low mud-brick buildings mimic the forms of more recent military installations. Time seems suspended in these images, which reach back into a Biblical past marked by internecine struggle, and look forward into a parched and paranoid future. In the 1990s, the DEW line was replaced with the North Warning System. 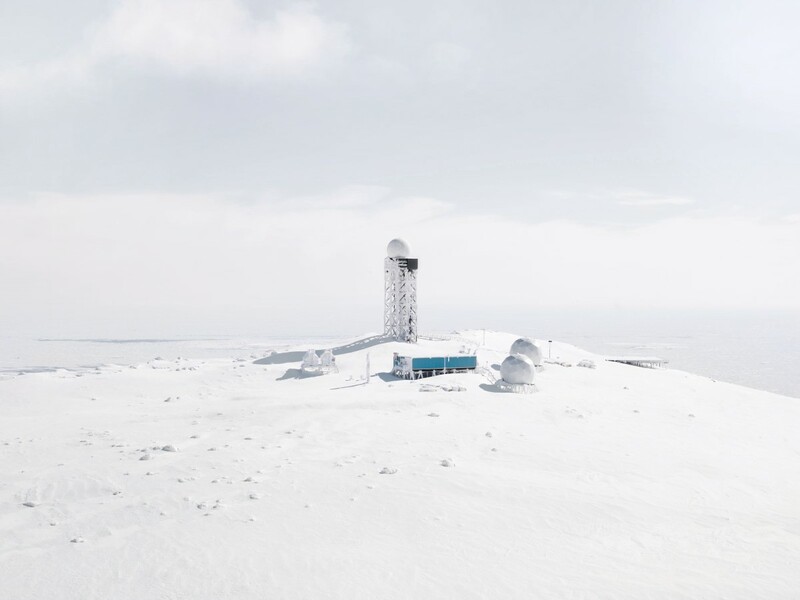 The third book in Wylie’s trilogy comprises 17 aerial photographs of a single radar station in northern Labrador, Canada. Approached by helicopter, the tower is barely visible in a bank of low cloud, which clears as Wylie circles the station. The penultimate image of the tower, gazing out over the pack ice in the Hudson Strait, recalls Romantic landscape painting’s fondest idiom, the Rückenfigur – a human figure standing in the foreground of the image with its back to the viewer, inviting us to imagine ourselves as part of the landscape at the same time as it emphasizes our isolation from it. 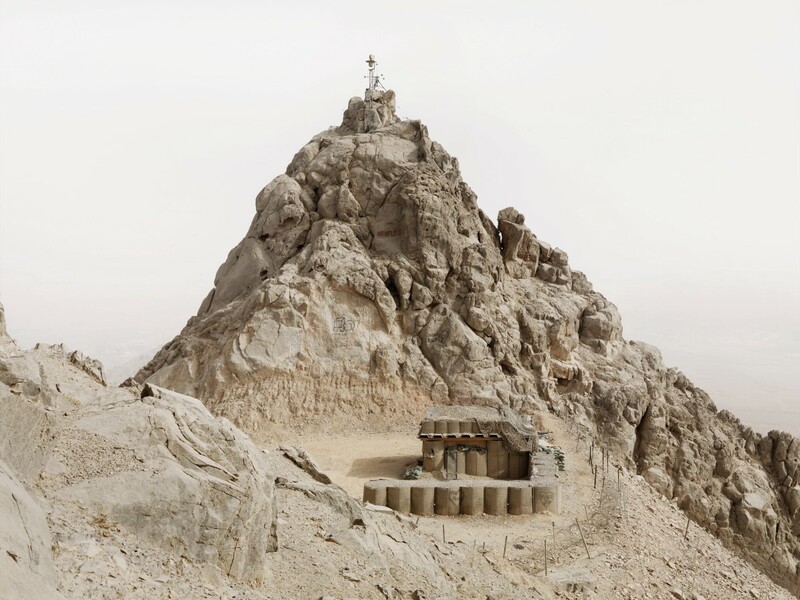 Built out of utilitarian materials – concrete, steel, sandbags, plastic – the watchtowers in Wylie’s photographs appear almost fragile, small-scaled against the stretch of the terrain under their gaze. Alert and unsettlingly anthropomorphic, they are ciphers to the immanence of conflict; emblems of war as a state of mind and a state of being. Posted in Reviews, War Photography and tagged Afghanistan, Arctic Circle, Book Review, Canada, Donovan Wylie, Eugenie Shinkle, Ireland, Kandahar, Magnum Photos, Military, Military Surveillance, North Warning System, Watchtowers.